Tony DiStefano is 61-years-old. He was born on February 6, 1957. 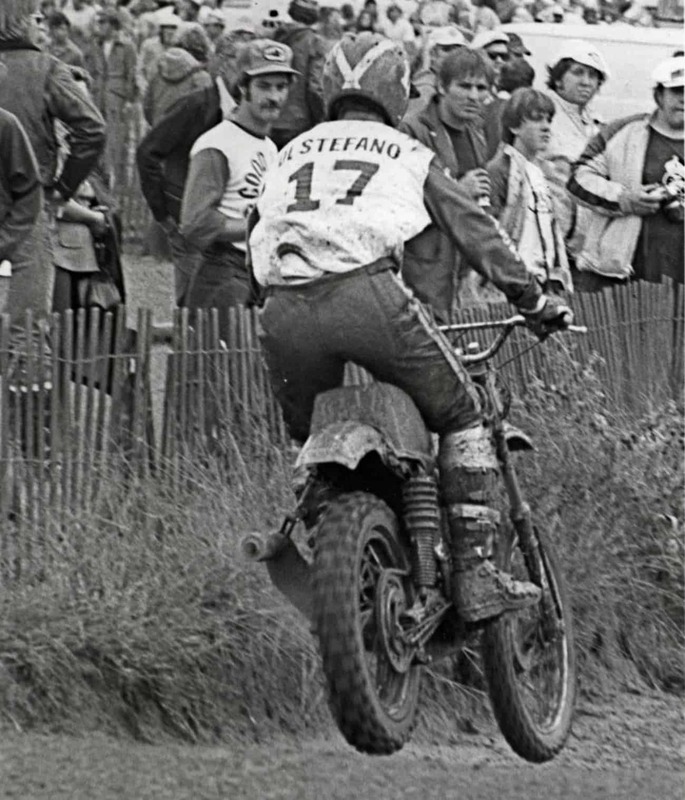 Tony DiStefano was the winner of three AMA 250cc National Championships and the Inter-AMA title. Tony D (as he was called by his fans) was one of the top champions in the 1970s. DiStefano seemed like an unlikely star in motocross. 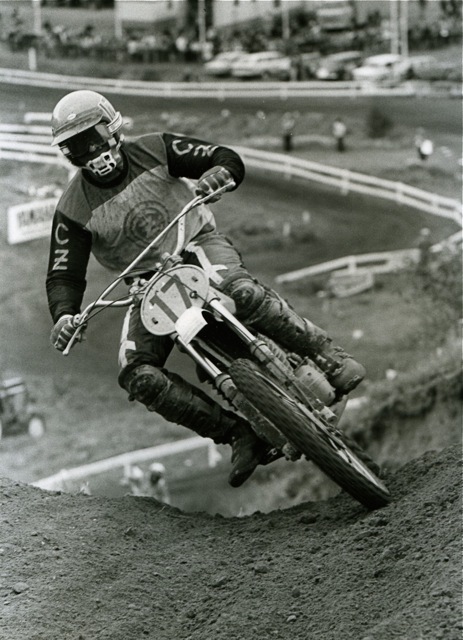 Most of the top riders had come from the west coast and Tony, from Bristol, Pennsylvania, had a physique more like a football player (6’1″ and 200 pounds) than a motocross jockey. Plus, when he showed up on the National circuit he was riding a Czechoslovakian CZ. Even after finishing in the top ten eleven times in his rookie season, he still received minimal support from CZ. 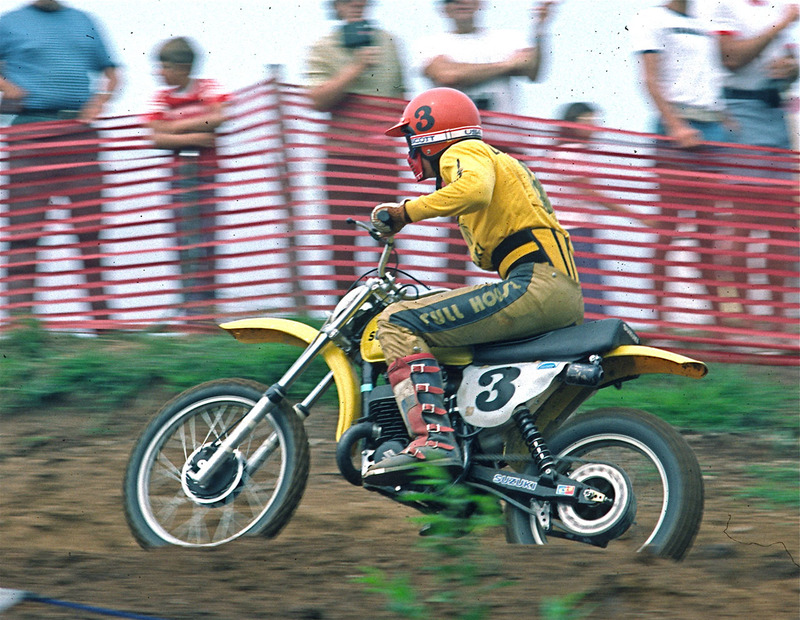 Tony D at the 1974 Motocross des Nations on a CZ. Tony raced for Team USA four times (1974-1977). That would change in 1974 when he finished second in the 500cc National Championship on his Ray Martino-tuned CZ and then joined Jim Pomeroy, Brad Lackey and Jim Weinert to finish a best-ever for America (up to that time) second place in the Motocross Des Nations. Kent Howerton and Tony DiStefano. 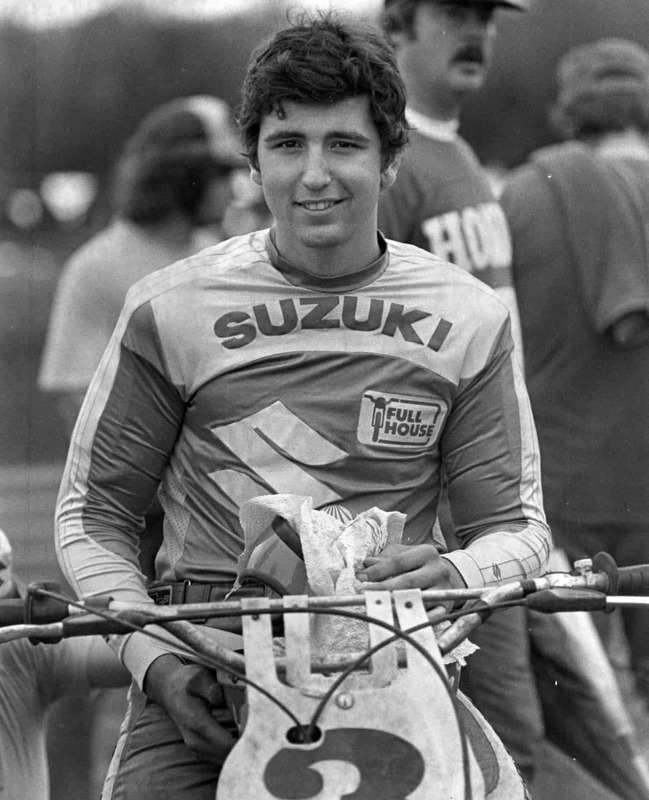 Riding for the Suzuki factory in 1975, 1976 and 1977 Tony became a three-time AMA 250cc National Champion. During his career, he won 16 AMA Nationals, and had victories in Supercross, 250cc Nationals, 500cc Nationals, Inter-AMA and Trans-AMA competition. He raced on four MXDN teams for America, Tony also won the Daytona Supercross. After retiring, DiStefano founded a successful motocross school and continued the school despite suffering paralysis in a riding accident. Today, Tony still lives in his native Pennsylvania with his wife Anna and has a grown daughter, Anna, and a son, Joey. Tony on the privateer CZ that he used to beat the factory teams in 1974. Tony had his own motocross gear line and was one of the first riders to use an agent to negotiate his deals. In light of recent MXDN troubles, Tony was also the first rider to put in his Suzuki contract that “if chosen to ride for Team USA in the Motocross des Nations” that Suzuki would support him.